New Blog Post: How to Obtain Anger Management Specialist Certification! 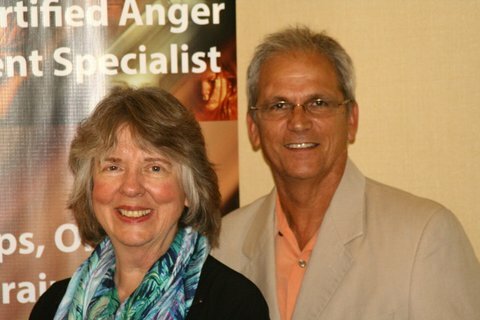 Live Anger Management Specialist Training Workshops to be offered September 5-6, 2019 in Oak Brook, IL! Register online here! Oak Brook, IL, Sept. 5-6, 2019! Obtain certification as an Anger Management Specialist-I or II. Register online. Approved for 12 NBCC CE hours, NAADAC, NASW CEUs and 13 IAODAPCA & NAMA CEUs. Register online here! Plano, TX: Fall, 2019 training for Anger Management Specialist I or II to be offered! New Kid’s Anger Management 14 lesson book/workbook for 6-10 year olds! “What’s Good About Anger? Getting the Best Out of Anger for Kids” is based on the book: What’s Good About Anger? Fourth Edition. Includes color content and images, projects and application questions and activities designed for learning to control anger. The Fourth edition book will be mailed to purchaser along with one Kid’s Workbook. 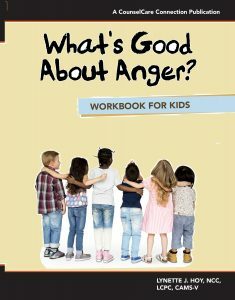 Covers all the strategies to help children learn how to express anger in healthy ways! Order Kid’s Workbook here! It is recommended that a parent, counselor or teacher work with younger children in teaching the principles and skills in the book and workbook. Evidence-based Anger Management curriculum, workshops & resources for counselors, social workers, leaders, pastors, coaches, law enforcement officers, chaplains, educators, health professionals, managers & many other leaders! Helping Couples to Repair, Restore, & Revitalize Their Relationships– a 16 lesson book by Seigel Bartley, PhD, LPC-S, CAMS-V; and Lynette Hoy, NCC, LCPC, CAMS-V. This expanded couple’s book and workbook explore the emotion of anger and how anger can be put to work for good. Includes practical skills, discussion questions for couples, an emphasis on Releasing Anger and Hostility through heartfelt forgiveness and the best anger management strategies for real relationship change! Order here! What’s Good About Anger? 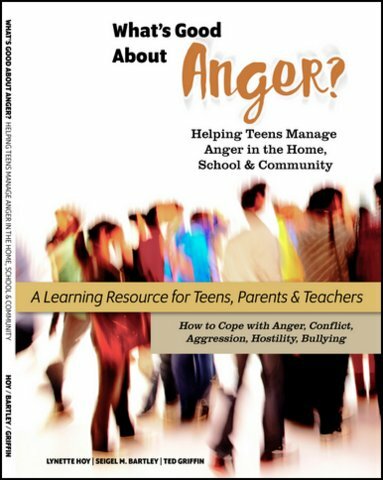 Helping Teens Manage Their Anger: In the Home, School & Community. A 17-lesson learning resource for teens, parents and teachers by Seigel Bartley, PhD, LPC-S, CAMS-V and Lynette Hoy, NCC, LCPC, CAMS-V! Subscribe to the Quick Tips for Managing Anger podcasts with Lynette Hoy, NCC, LCPC, CAMS-V. Click to listen to: Best Steps for Managing Anger. View all of our Anger Management resources, courses and programs on our Shopping Mall! The Anger Management Institute is now offering CEUs for our Teen Anger Management course and training. View the Teen course here! Or consider purchasing the Teen Leader’s Group Curriculum. Anger Management Institute Starter Kit for Leaders. Includes Ten Steps to Starting an Anger Management Business, 12- Expanded 16 Week/Lesson combination Book/workbooks for groups or individuals, instructions for connecting with courts and employers, assessments, inventories; leader’s guide, DVD and power point tools for groups. Order now! Credentials and Benefits of The Anger Management Institute Training Certification: Read Blog post. Need Anger Management Counseling or Coaching? Read about our coaching or counseling services here! 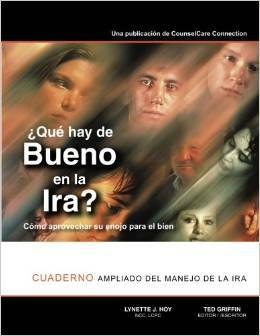 Spanish Edition of What’s Good About Anger? ¿QUÉ HAY DE BUENO EN LA IRA? Libro y cuaderno ampliado acerca del manejo de la ira. La mayoría de la gente cree que la ira es una emoción negativa de la cual nada bueno puede proceder. Mucha gente piensa que la ira no debe expresarse y que tales sentimientos son malos. Este libro de trabajo explora la ira como emoción y cómo el enojarse—lo cual es parte de la experiencia humana—puede utilizarse para el bien. Visit the Anger Management Institute shopping mall for all of our resources! 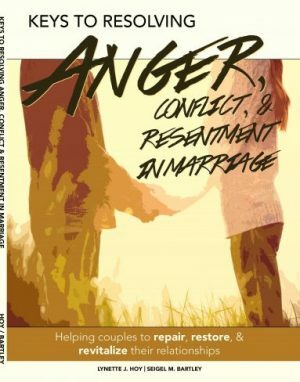 Healing the Wounds of Anger in Marriage Leader’s curriculum! Lynette Hoy, NCC, LCPC, CAMS-V & Steve Yescheck, LCSW, CAMS-IV co-presented Healing the Wounds of Anger in Marriage workshop to 270 participants at the AACC conference in Opryland on Sept. 25, 2015! Order the Healing the Wounds of Anger in Marriage group curriculum here. Purchase the book on the mall! Or order the Couple’s Anger Management Online Course. Order the New 52-Week Expanded Anger Management Book & Workbook! Or order the Leaders 52-Week Curriculum! Includes everything your clients need for a 52 week course and program. “Ms. Hoy, This course has changed my life!!! I have come so far in 12 weeks– I went from the brink of divorce to bettering my marriage and relationship with my children to where we all agree there is a better life is ahead. I still have aways to go and I have your book and DVD to guide me along my journey. I truly feel that the LORD led me to you for help and I am eternally grateful to you and your staff. Forever Grateful!” Michael B. You can enroll in a course here! Continuing Education Courses Online: provides NBCC CE clock hours: Provider #6577 and NAMA CEUs: Provider #102. Cognitive restructuring, stress management, assessment and referral, teen anger management issues, ethics, coaching and more! Anger Management book/workbook for teens: Includes teen scenarios, how to manage anger, aggression, hostility, bullying, conflict and more! Order this new book/workbook, or the teen curriculum for groups. Topics: When Anger is Good; Triggers for Anger; Conflict Resolution; Managing Stress; Handling Anger Effectively; Assertiveness; Forgiveness; Emotional Intelligence; Facing Consequences; Defusing Anger and Hostility; What If Situations; Accepting Responsibility, Dealing with Bullying, and more! Revised and Expanded Anger Management Book and Workbook (2016) for a general readership. Now includes over 16 lessons covering the best anger management strategies from the Fourth edition book; questions and practical scenarios for real life application. Or order the new 16 week/lesson Leader’s Group Curriculum Can be adapted for 8-12 week groups! What’s Good About Anger? Putting Your Anger to Work for Good, Fourth edition, now available as an ebook on Amazon for Kindle or at Barnes and Noble for Nook! Purchase the Fourth edition print version! Go here to read the comments. Want to teach anger management or lead groups? 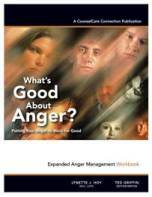 Order one of the Group Anger Management Curriculum for leaders & facilitators. Are you a professional, executive, corporate manager, business man or woman overwhelmed with anger, stress and conflict on the job? Or maybe you are dealing with too much stress and anger in your marriage or other significant relationships? Anger management coaching seeks to help you transform the energy of anger into positive channels which benefit your life and relationships and help you achieve your goals. Read more about the Anger Management Institute coaching services.